Founded in 1995 in Lafayette, Indiana, today there are more than 1,000 stores across America, Canada, and Puerto Rico. When you purchase a discounted Lids gift card, you’ll be able to pay less for the hats you love! And believe me, they have lots of options! Whether you’re shopping for an MBA hat, NFL hoodie, or an IHL phone cover, you can find it here. But that’s not all! They offer MLB and college gear too! Surprise your sports fan today with a gift they’re sure to love! Or you can give a Lids gift card as a present and leave the shopping to them! What better way to show someone you care than by giving them the gift of shopping? Or perhaps you’re looking for some variety in your own wardrobe? Regardless of the reason, there’s no better time than now to save money! Buy your discounted card today and get the very same sports gear, for less money out of your wallet. What’s not to love about that? This football season, support your team in style! When you purchase your discounted Lids gift card, you’ll save money on your entire purchase! And believe me, they have all the gear you dream about and more. They offer headwear, clothing, accessories, and novelty items for every major professional sports team! And what’s more, most locations even offer custom embroidery, which means you can add your very own touch to your gear! Don’t let another season go by without gearing up- and with your discounted card, you’ll pay less! 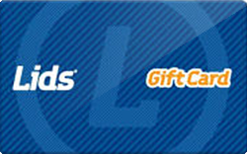 Your discounted Lids gift card is your ticket to saving money on your sports gear! And the great news is, Cards2Cash offers many other ways to save money! We offer gift cards for lots of restaurants and retailer shops! Why should you pay more, when you don’t have to? Check out our listings for Foot Locker, Nike, Champs, Adidas, and more! With Cards2Cash on your side, you can save money on the coolest gear on the market! Would you like to sell a gift card? 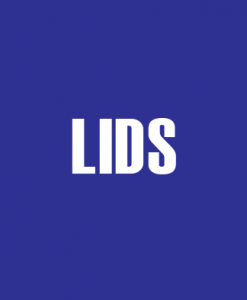 Do you have a Lids gift card you aren’t going to use? Well, the good news is, Cards2Cash buys lots of gift cards! That’s right! We buy new and used gift cards for everything from restaurants to pet shops! And we pay top dollar for them! If you have a card, you’d like to sell, stop in one of our retail locations for fast on-the-spot cash, OR simply fill out our online form and we’ll get back to you with an offer! Cards2Cash is your gift card shop!